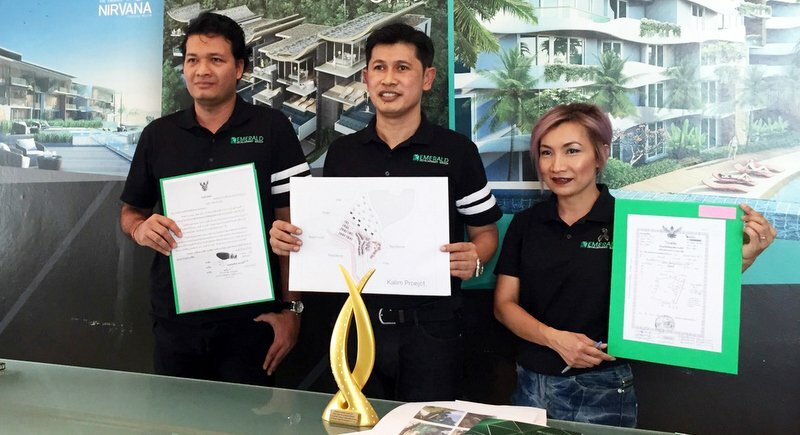 PHUKET: The Emerald Development Group, which last week stood accused by a slew of complaints alleging failure to deliver condos as well as breaches of property laws and building codes, yesterday (Mar 7) responded to the claims with a no-nonsense rebuttal. Sawit Ketroj, President of Emerald Development Group, led the press conference, held at the company’s main sales office in Kathu. “The Emerald Development Group has seven condominium and residence projects throughout Phuket and Krabi since 2013 and we strictly operate within the legislation in vigour as far according to the Environmental Act, Town Planning Act and building regulations, and strive to abide by the laws of Thailand. “We have been falsely accused that three of our projects are not within the law and we must clarify the following,” he said. Regarding the Emerald Nirvana Kalim, Mr Sawit noted, “The title deeds (certification of ownership) regarding the land have been lawfully purchased from the vendor with a strict inspection and examination being carried out by the land officers in order to submit the NorSor 3 Kor for us to be able to divide the land and develop it as Hotel, Condos and Villas. “The land plot has been scrutinised by the Phuket provincial land office and its origins are clearly defined throughout the registry dating back at least two generations. “In July 2015, we submitted the building permit for the primary work of setting up necessary retaining walls. Furthermore, construction has already started on the foundation of eight villas of which we have the construction permit. “We understand and have respected the height restriction as well as boundaries and will create a green zone where needed. “The accusation also states that we exceeded the allowed excavations but a site inspection will corroborate that all has being done according to the architectural designs and in keeping of the natural contour of the land. “These accusations are pure propaganda and have no foundations; we issue progress reports on a monthly basis to inform our clients on the construction schedule,” he said. 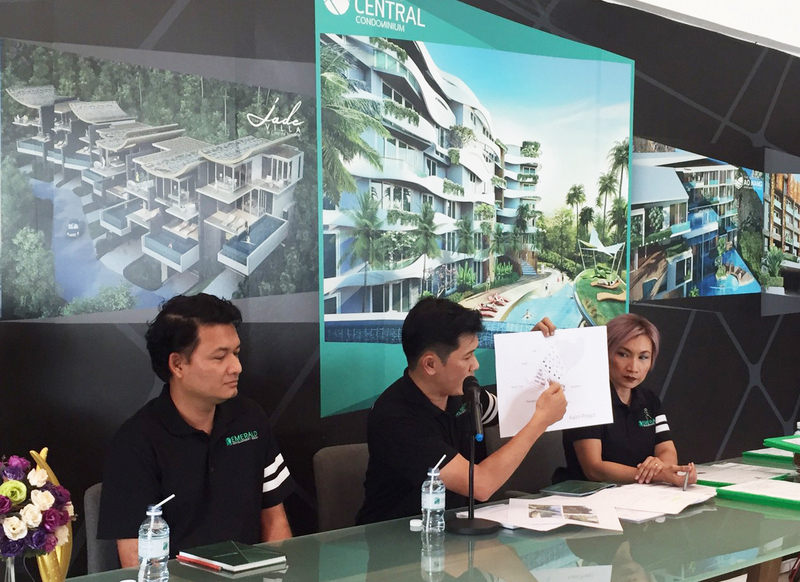 Regarding the Emerald Terrace condominium project on Phra Baramee Rd in Patong, Mr Sawit explained, “We are progressing with the title deeds of all sold units and are registering them with the land office in order to transfer ownership to the buyers. “We have had no complaints so far nor any legal claims. Government officials have inspected the property in order for it to be issued with a condominium title deed. We did not modify any of the architecture nor add more condominiums on its rooftop as was wrongly mentioned,” he added. Regarding the Emerald Central condo project, located near Soi Thida, off Wichit Songkram Rd in Kathu, Mr Sawit noted the project was “being built within the construction limits allowed by law”. “The area where the building is situated can go up to 23 metres in height and we have only built up to seven floors, which corresponds to 21m in height. No designs were altered or changed after the relevant authorities had approved them,” he explained. “We will not succumb to corrupt measures and have gathered all relevant documents to prove there is no wrong-doing on our part. 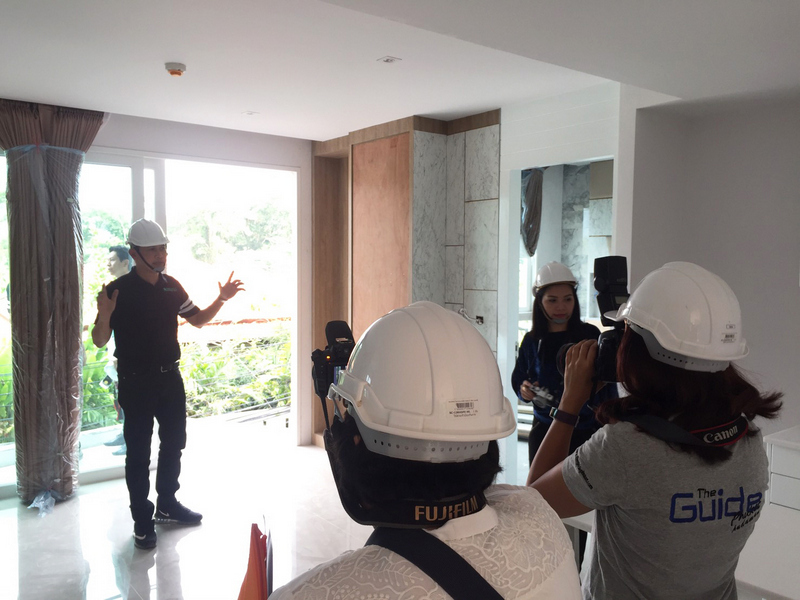 “We are a new company in Phuket and all of our projects are built according to legislation. We strive to run a clean company and are transparent with our clients and investors. “It is very unfortunate that false accusations are being made without basis in order to tarnish our reputation and we look forward to the opportunity of clearing our Group’s reputation,” Mr Sawit added. 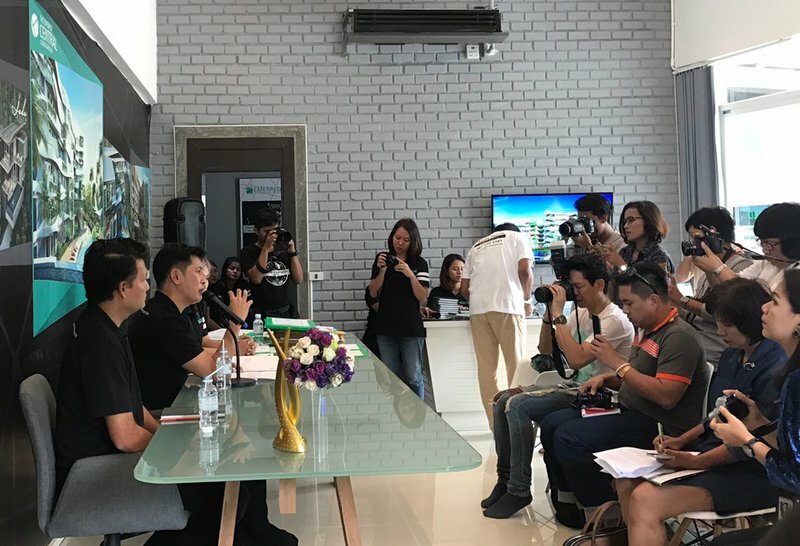 The press conference yesterday was called after a local news outlet last week reported that the Emerald Group was “under investigation” after a group of 20 people, not defined as investors or buyers, who called themselves the Rak Chue Siang Phuket (“Love Phuket Reputation” group), filed a complaint at the Damrongdhama Centre (provincial Ombudsman’s Office) at Provincial Hall. The group called for Phuket Governor Chockchai Dejamornthan to investigate the claims. However, whether an investigation has been launched has not been confirmed. If all the Emerald 'rebuff's' will be approved by Phuket Provincial Land Office and all the other inspecting Officials and work out to be correct then this case is becoming very interesting.